For nearly two decades, the Speech and Language Specialists at Seven Bridges Therapy have been helping toddlers to young adults with all types of communication challenges. Adolescents learning to navigate social situations with greater confidence. 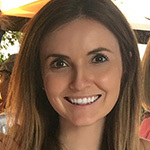 Author of “Teach Speech, A Parent's Guide,” Shannon earned a Bachelor's of Science degree in Developmental Psychology and then a Master's of Science degree in Communicative Disorders in 1996. She has been working in private practice ever since. 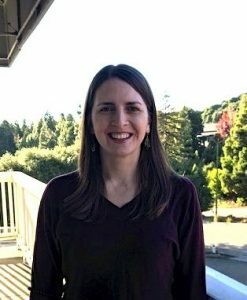 She has worked with preschoolers in many school districts in the Bay Area individually as well as in classrooms designed for children with Autism. She works with toddlers, preschoolers, and children with Autistic Spectrum Disorder, specializing in Childhood Apraxia of Speech. 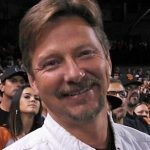 Chris comes to Seven Bridges Therapy with almost 30 years of experience running and owning businesses in the Bay Area. He has worked as Vice President of Operations, Distribution Manager, and General Manager for several multi-million dollar companies and has extensive experience in Human Resources, IT, Security, Accounting and Project Management. 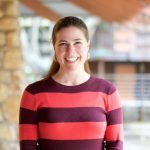 Rachele joined our team in 2017 and is a Bay Area native. She has worked in private practices throughout California since graduating from Cal State Chico. Rachele is trained in Hanen's It Takes Two to Talk, Lindamood Bell's Visualizing and Verbalizing and Michelle Garcia Winner's Social Thinking. She works at our San Francisco locations. In her free time, Rachele enjoys hiking, yoga, and spending time with family and friends. Mega joined our team in 2010 after earning her Master's degree from San Francisco State University. She manages our San Mateo location and works with children of all ages, specializing in early intervention. Mega loves working with children and their families to create plans that are functional and fun both in the clinical setting as well as at home. She puts every effort into collaborating with all family members and the child's whole team. Stephanie received her Master's Degree in Speech-Language Pathology and Audiology at Cal State University, East Bay. She has worked for over ten years in the field with children of all ages, from early intervention through high school in a variety of settings-private practice, home and school environments. Her areas of interest include Apraxia, articulation and phonological disorders, Autism, early intervention, language disorders/delays, pragmatic/social skills, and selective mutism. Parent training and caregiver education has been a specialization for Stephanie and she is trained in DIR/Floortime® and the Hanen It Takes Two to Talk® and More than Words® programs. 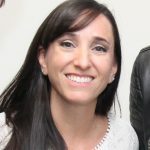 She has also received extensive training in social pragmatic disorders and self-regulation intervention including the Zones of Regulation® curriculum. When not working, Stephanie enjoys traveling with her husband and son.